URBAN VOODOO MACHINE GO TO THE DOGS! 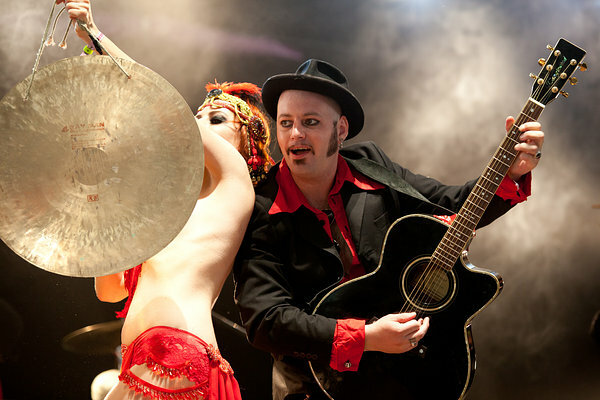 Londoners are in for a treat this weekend as URBAN VOODOO MACHINE headline a one-day free festival on Sunday afternoon. The UK’s favourite bourbon-soaked gypsy blues bop’n’stroll band will be taking the stage at Clerkenwell Festival in Spa Fields Park off Exmouth Market, Islington this Sunday 30 August. Kicking off at 1.30pm until 5pm, also on the bill are KING SALAMI & THE CUMBERLAND 3, 9 TON PEANUT SMUGGLERS, LIL’ LOST LOU, FLORENCE JOELLE and RUN DEVIL RUN plus more acts to be announced. There’s also a rock’n’roll jumble sale and a dog show! A good time is guaranteed! ‹ FREE COCKNEY REJECTS CD WHEN YOU SUBSCRIBE!